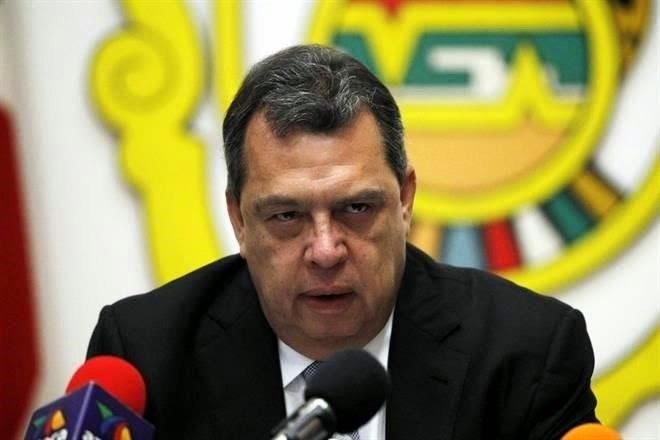 Guerrero Governor Angel Aguirre has resigned. Pressure had been building since the events of September 26th became an international story and outrage. 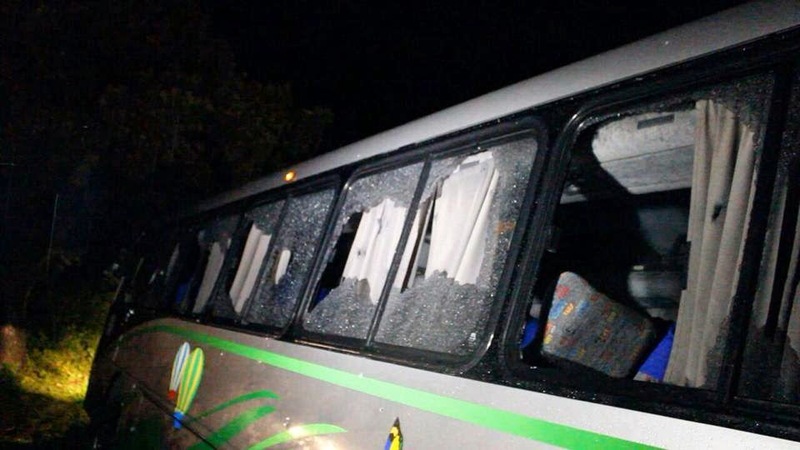 On September 26th and the early hours of September 27th students studying at the Normal School, (teacher college) in hopes of becoming elementary school teachers, came under attack in the Guerrero city of Iguala. 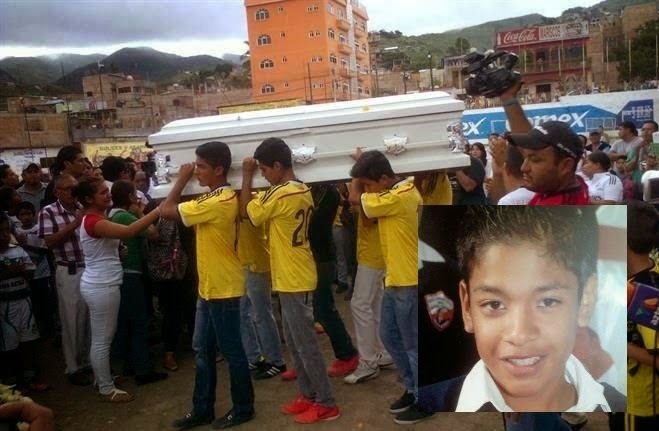 Buses carrying the students and a futbol team bus came under gunfire killing 8, in three separate attacks, attributed to municipal police allegedly under the direction of Guerreros Unidos cartel, the Iguala mayor and the mayor’s wife. 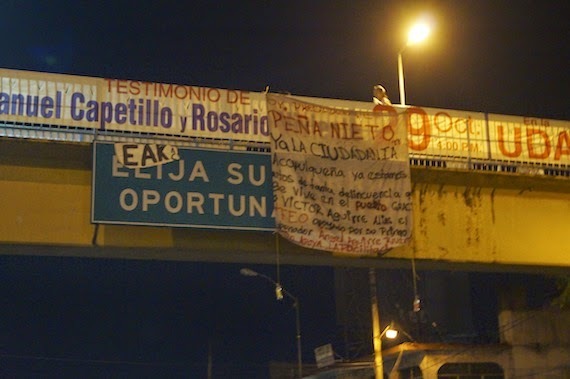 43 of the students called normalistas were kidnapped at the time of the last attack and are still missing. Governor Aguirre’s name has also been highlighted as if not directly involved with the attacks, perhaps has been complicit in other crimes, or at best case allowed criminality to prevail with impunity. The accusations have gained in strength and opinion, something Aguirre could not overcome. Since Wednesday Aguirre has been in negotiations for his resignation, and since then he has negotiated demands for replacements in key state government positions of responsibility. It has not been announced as yet what was finally decided upon. The three were found; Next to Los Cruces Church, a bridge at Vicente Guerrero Blvd and in the Juarez sector. Mr President Enrique Peña Nieto, we are fed up with the massive crime in this town, because of Victor Aguirre, aka "El Feo", with help and support of his cousin, the Governor Ángel Aguirre Rivero"
Victor Hugo Aguirre Garzón, is first cousin of the governor of Guerrero,rumors say the governor's campaign was financed by Beltran Leyva, and he has ties to Guerrero Unidos and their allies. His cousin Victor is the leader of the Independent Cartel of Acapulco, an ally of Guerreros Unidos. About posting comments, so we know handheld devices are ok....but computers not so much. However I have to be logged into my google account for blogger so I don't get the robot test. 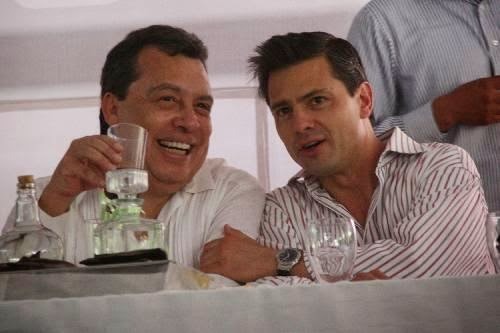 How did Mexico ever get to the point where known criminal leaders are directly related to politicians? That should have been the first red flag!!! Unfortunately that is the way of do doing business in Mexico, and now we act surprised? C, Mon let's use some common sense! Why should the corrupt governor be allowed to name anyone into key government positions following his departure? Nothing will change if he's allowed to do this name the replacements. Probably includes those who would have the responsibility to investigate him and or those will power over the purse strings.